Snow on the Cosmos – KeaPOD 124 | KeaNeato! 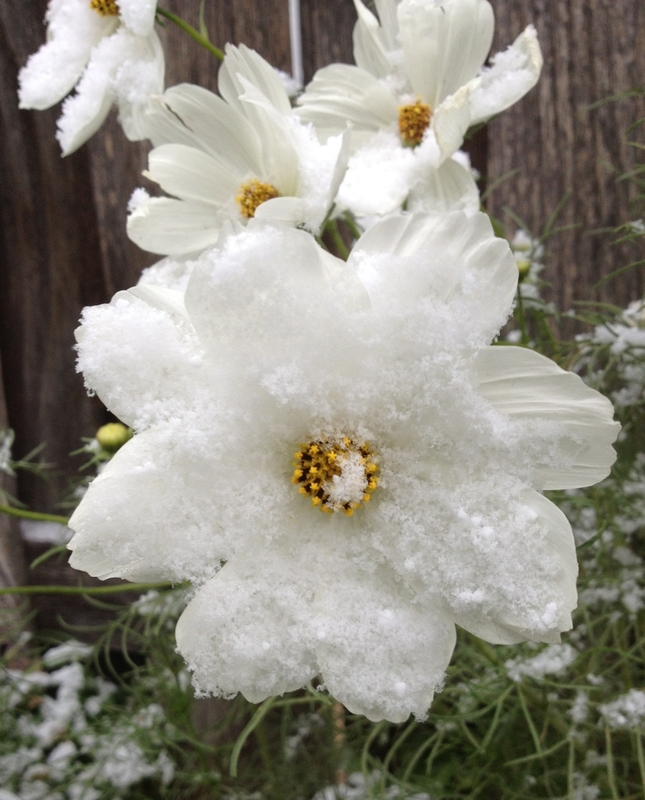 Light snow today – beautiful on this white cosmos flower. Photo by keagiles. Click on the cosmos for a closer look. This entry was posted in beautiful, Nature, POD (picture of the day) and tagged cosmos flower, flower, photography, snow. Bookmark the permalink.